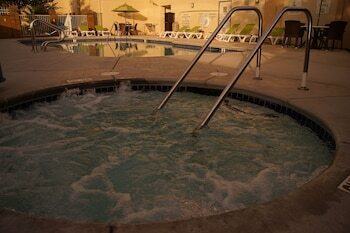 You may still be able to book by calling the hotel at 916-624-4500. 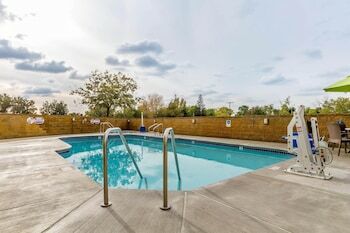 With a stay at Comfort Inn & Suites Rocklin - Roseville in Rocklin, you'll be within a 5-minute drive of Sierra College and Johnson-Springview Park. 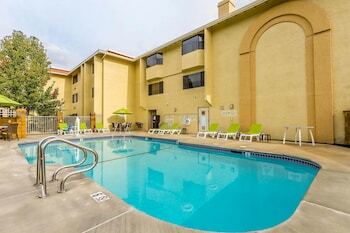 This hotel is 2 mi (3.2 km) from Sunset Whitney Golf Course and 3.6 mi (5.8 km) from Westfield Galleria at Roseville. Make yourself at home in one of the 124 air-conditioned rooms featuring refrigerators and microwaves. LED televisions with cable programming provide entertainment, while complimentary wireless Internet access keeps you connected. Private bathrooms with shower/tub combinations feature complimentary toiletries and hair dryers. Conveniences include desks and coffee/tea makers, and housekeeping is provided daily. Grab a bite from the grocery/convenience store serving guests of Comfort Inn & Suites Rocklin - Roseville. A complimentary hot/cold buffet breakfast is served daily from 6 AM to 9 AM. 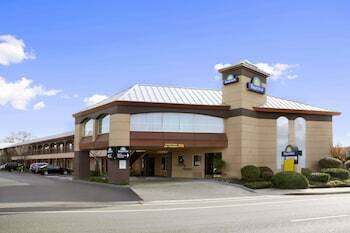 Comfort Inn & Suites Rocklin - Roseville is a 2.5-star hotel located at 4420 Rocklin Rd, Rocklin, CA 95677, US . 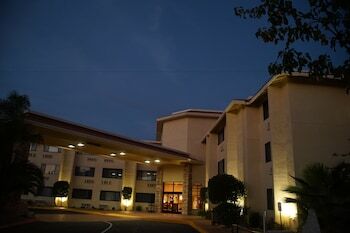 Its nightly price usually falls between $84.99 per night and $204.99 per night, excluding tax, depending on room category. 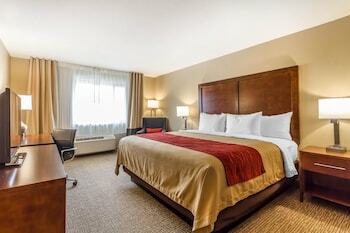 $85 per night found for a Standard Room, 1 King Bed, Non Smoking - Advance Purchase Rate room type. 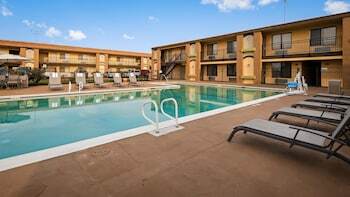 Comfort Inn & Suites Rocklin - Roseville sells rooms through sites like Room 77, Expedia, Hotels.com, GetARoom, and many others. Room 77 searches across dozens of different sites to find the lowest discount rates available. The lowest rate we've seen over the last few weeks was found on Room 77. In 1% of the cases we surveyed, all sites offered the same rate. You can compare real-time rates from all of these sites on Room 77. Room 77 is the only hotel shopping site that includes special discounts like AAA, senior, government, military, and corporate rates.